The rapidly evolving Internet of Services consists of a multitude of Web-based application services that are pervasively offered, composed and traded by a worldwide network of service providers, brokers, and consumers on demand. For example, service mashups became very popular recently to create new, data-driven Web applications ad hoc by merely handcrafted or visual tool-assisted combination of known and readily available third-party services in the open Web 2.0. Such mashups typically serve very specific situational needs of end-users like the display of requested housing information for a certain geographical region on a map. In a more complex and closed corporate context with service-oriented enterprise IT infrastructures, collaborative business processes are implemented through careful selection, choreography and orchestration of standard XML-based Web services by a central administrator. In both scenarios, one key challenge is an automated support of finding and composing relevant services on demand at both design and run time. That is hard to achieve with Web services due to their lack of well-defined functional semantics. Semantic Web services offer an elegant way to solve this problem by applying Semantic Web technologies. Theses enable intelligent software agents not only to automatically "understand" what individual Web services are about and how they work but to effectively discover and compose them to achieve a goal given by their human user, other agents, or applications. In this talk, I will introduce the principles of Semantic Web services, and present selected solutions for and deployed applications of their automated discovery and composition. That shall be complemented with an outlook on future research and applications of semantic services. Matthias Klusch ist Senior Researcher und Research Fellow des Deutschen Forschungszentrums für Künstliche Intelligenz (DFKI) in Saabrücken. Er leitet dort die Forschungsgruppe zu Multiagentensystemen und ist zudem externer Professor an der TU Swinburne in Melbourne, Australien, am Center for Complex Software Systems and Services. 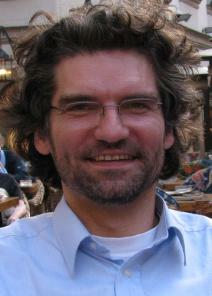 Klusch promovierte an der Universität Kiel 1997, habilitierte in Informatik an der Universität des Saarlandes 2009 und war als Postdoctoral Researcher an der Carnegie-Mellon Universität sowie Assistenzprofessor an den Universitäten von Amsterdam und Chemnitz tätig. Er ist Mitherausgeber der wissenschaftlichen Zeitschriften Web Semantics, Cooperative Information Systems, Semantic Web and Information Systems, Web Intelligence and Agent Systems und Applied Decision Sciences. Dr. Klusch ist Mitbegründer der deutschen Konferenzreihe zu Multiagentensystemen (MATES), Leiter des internationalen Wettbewerbs zu semantischer Dienstselektion (S3) und war unter anderem langjähriger Koordinator der ersten Europäischen Interessensgruppe zu Intelligenten Informationsagenten, der internationalen Workshopreihe CIA zum gleichen Thema und für den ACM SIGART Award 2008 for Excellence in Autonomous Agent Research nominiert. Er publizierte 27 Bücher und rund 120 Artikel in den Gebieten Agententechnologie, intelligente Informationssysteme, spieltheoretische Verhandlungen, Semantisches Web und Dienste, sowie Quanteninternet. Weitere Informationen finden Sie unter http://www-ags.dfki.uni-sb.de/~klusch/ . Die Folien des Vortrags stehen hier zum Download zur Verfügung.